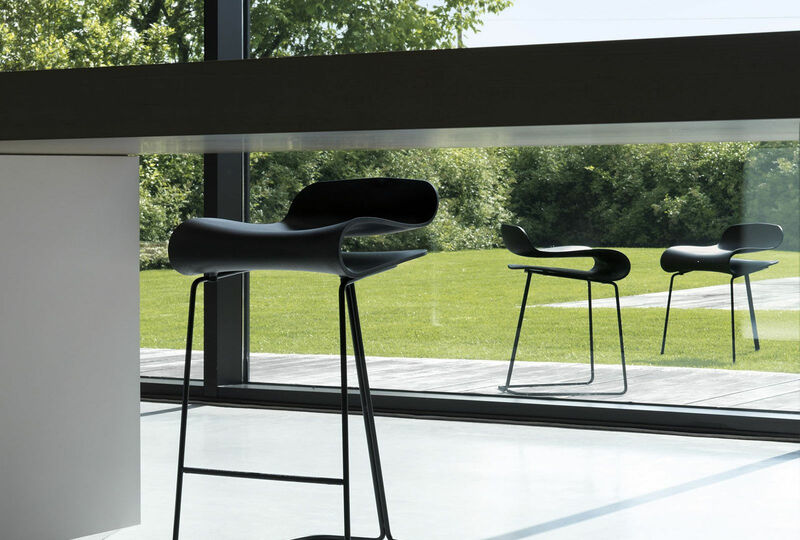 With a perfect balance between beauty and comfort, the range of Bella chairs and armchairs represents the archetypal leather-upholstered chair. 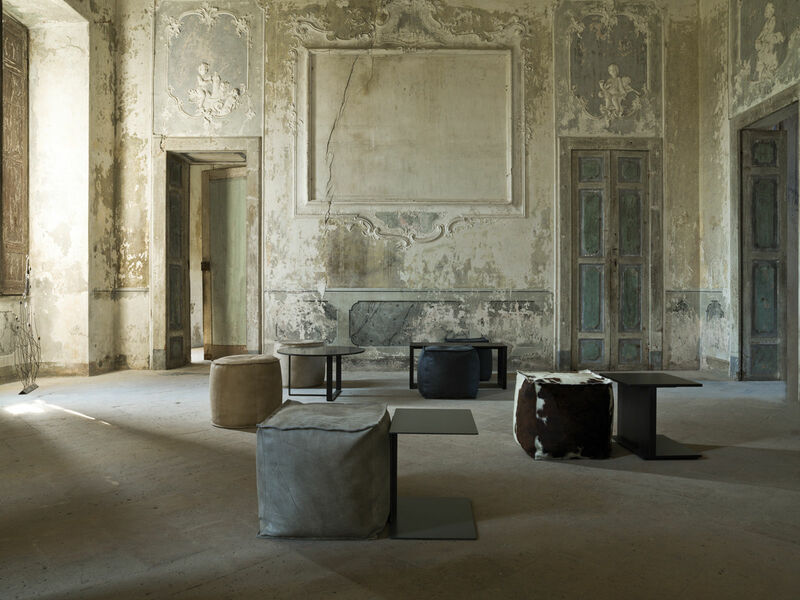 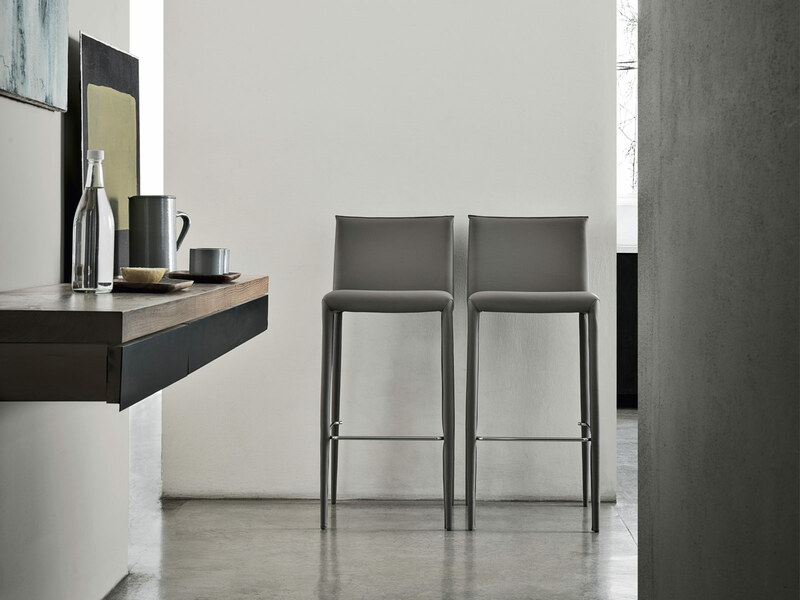 This collection is distinguished by its linear features and a clean design, giving it a timeless charm. 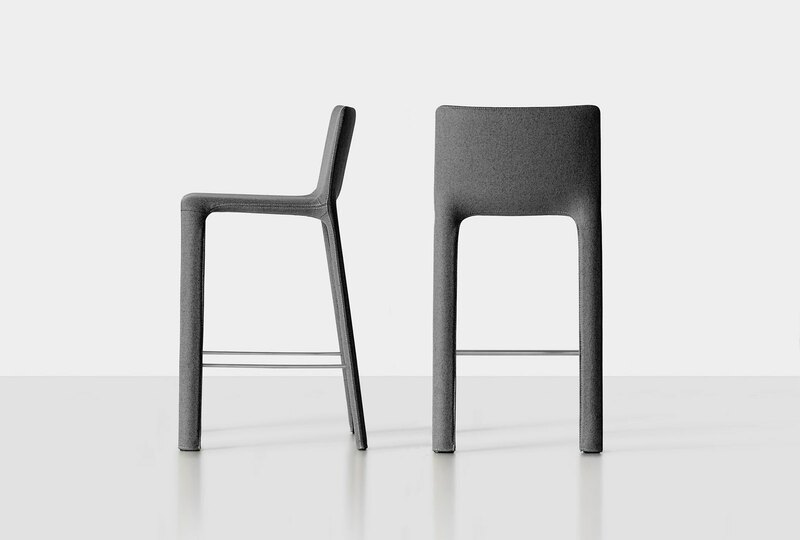 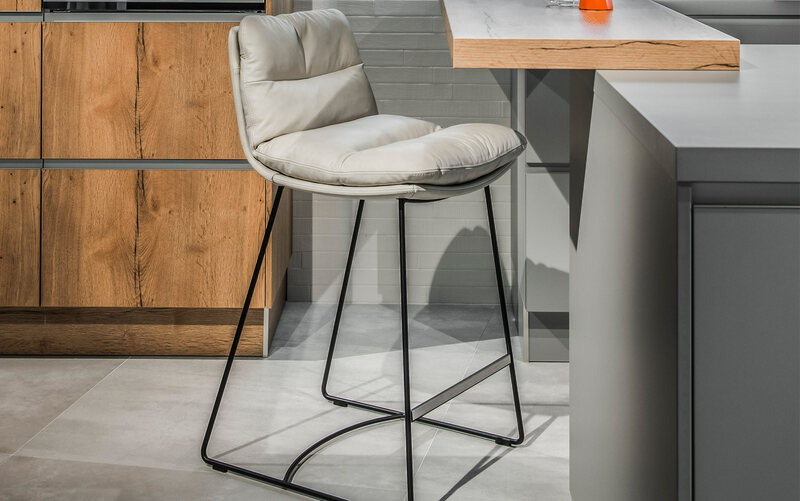 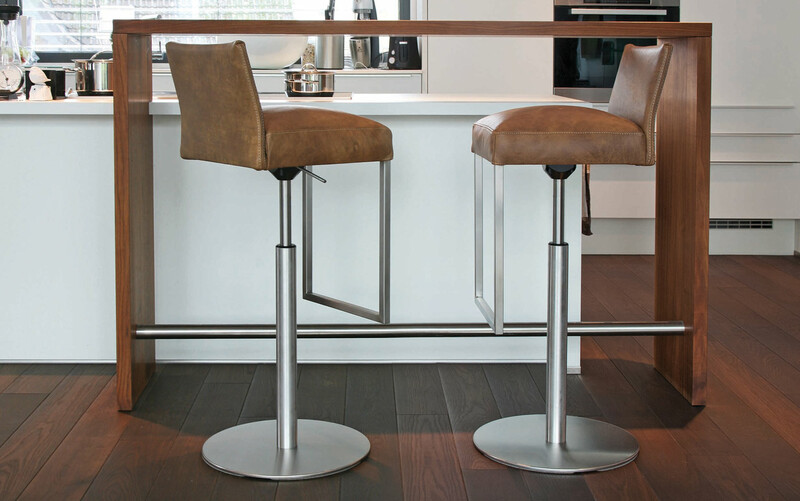 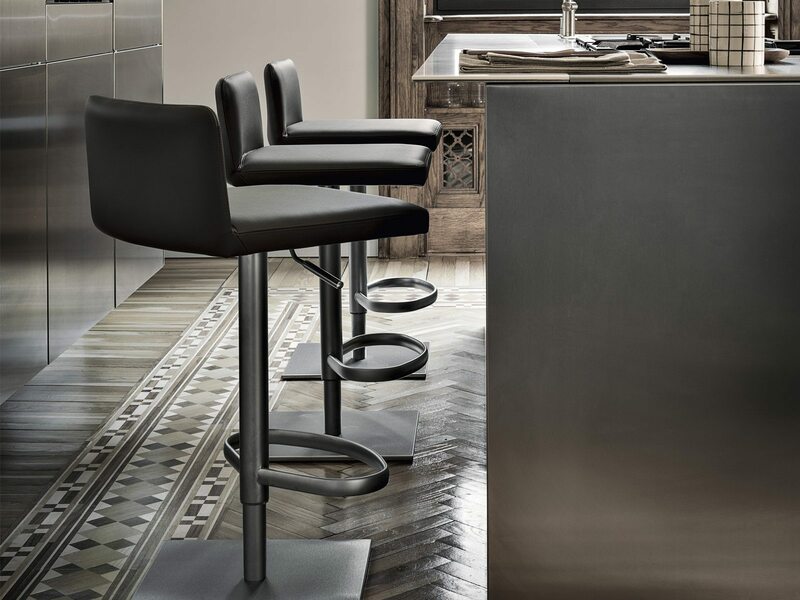 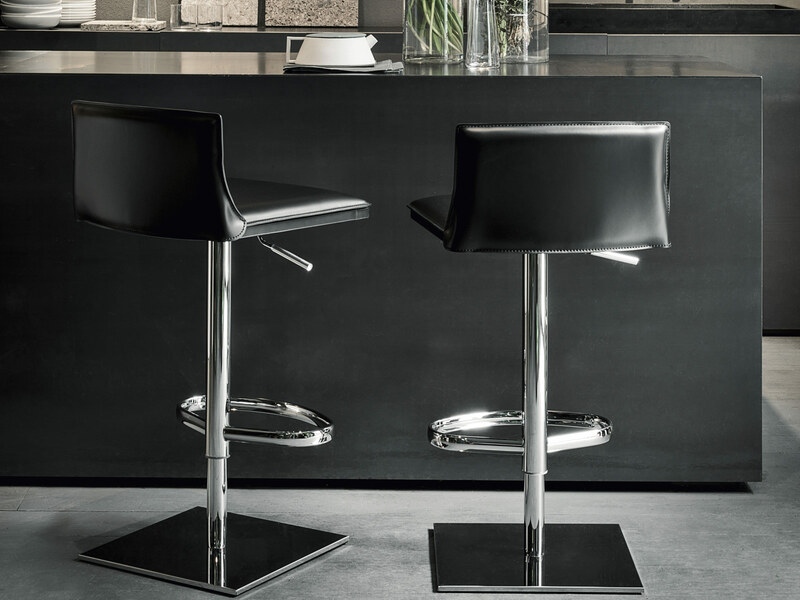 The bar stool is available with fixed base and armrests or with height-adjustable column base.